Vango Alpha tents are a classic range of dome tents with large front porches, ideal for first time campers, festival goers and cycle/motorcycle campers. 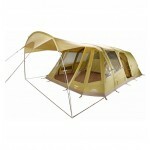 Relatively light (Stanetta on a good day), portable, packable and easy to erect. 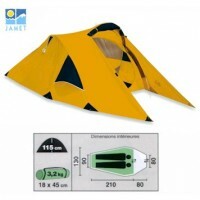 The tent has a 2-berth breathable 190T polyester inner with a 10,000mm HH polyethylene bathtub groundsheet and a front porch area with pre-attached groundsheet. 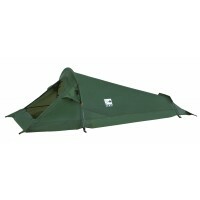 The flysheet is Protex 2000 polyester fabric with taped seams and a hydrostatic head of 2000mm. 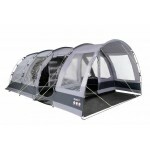 Within the flysheet are air vents over the 'crystal clear' windows with internal covers for privacy. The Powerflex fibreglass poles are colour coded for easy identification and the tension webbing is reflective so you can find your tent in dark or stormy conditions. 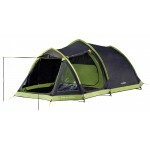 Pitched inner tent first. Comes complete with zip entry handled carry bag. 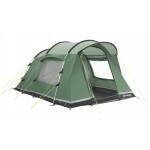 Vango Alpha 250 Dome Tent - 2010 Model.